Mr Jirongo declared bankrupt – Kenyatta University TV (KUTV). All Rights Reserved. Former Lugari MP Cyrus Jirongo has been declared bankrupt after the court found him unable to service his debts. High Court judge Olga Sewe found that Mr Jirongo was unable to pay Sh700 million he owed eight companies. This means Mr Jirongo, who vied for the presidency in the August 8 General Election, cannot offer his candidature for such a position because the law does does not allow a bankrupt person to hold public office It also means any property belonging to Mr Jirongo can repossessed by the credit manager for liquidation to settle the outstanding debts. The decision also restricts Mr Jirongo to only handling cash he needs for subsistence, accommodation and transport. 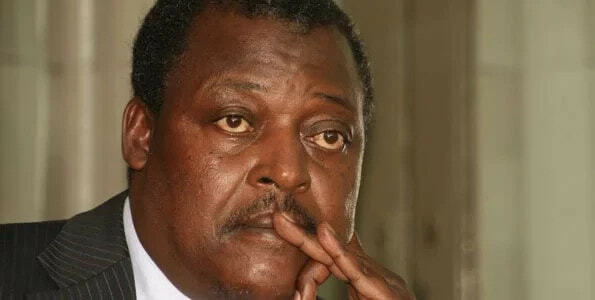 Mr Jirongo fell to bankruptcy in a suit filed by a group of companies that include Masole Ltd, Baia Enterprises, Gilera, Koti Developers, Saman Developers, Kenete Enterprises, Marimio Enterprises, and Linsala Enterprises. The court also directed that an official receiver be appointed as a trustee of Mr Jirongo’s estate. Bankruptcy laws provide that the said official receiver manages the property towards repayment of the amounts owed. Mr Jirongo got into trouble after he secured a Sh700 million loan from the National Bank of Kenya using properties registered in the names of the companies. He then failed to pay the loan, causing the bank to sell the properties on May 22, 2009 by public auction. Mr Jirongo then entered into an agreement with businessman Sammy Boit arap Kogo, the owner of the companies to pay him Sh700 million — the market value of the said properties. “This was to be compensation for the loss occasioned to companies whose assets had been sold,” Mr Kogo said in court papers. Mr Jirongo once again failed to pay the sum within the agreed period forcing Mr Kogo to institute a suit against him seeking payment of the said debt. Mr Jirongo had failed to defend or file any response in the case that sought payment of the Sh700 million plus interest. A judgment was then entered against the former MP in 2014, for the sum of Sh700 million plus interest as well as costs of the suit. But Mr Jirongo failed to pay the sum demanded, prompting the companies to file an application seeking bankruptcy orders against him. They also sought an order that his estate be vested with the Bankruptcy Trustee – a prayer that has now been granted. Mr Jirongo is currently fighting multiple cases against creditors in different courts.